At this time of year, colder temperatures and darker evenings make travel become more dangerous as drivers and cyclists tackle snow and ice, heavy rain and fog – conditions that drastically increase the chance of road traffic accidents. 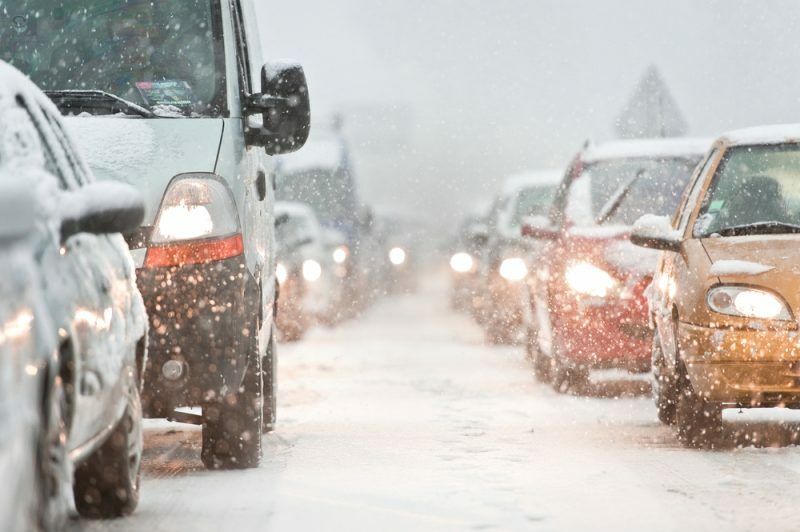 More than a third of people (37%) don’t feel confident on the road in winter. While you can’t control the weather, you can prepare your car or bike for winter. By doing so, you can help to ensure the safety of yourself and your family. To help you feel safer on the road this winter, we’ve answered some of the most common questions asked by drivers and cyclists. Below are some of our top winter road safety tips and advice on what to do if you’re involved in an accident. How can I prepare my car for winter weather? Check your tyres have adequate tread and ensure you have enough car fluids including coolant, screen wash and oil. Allow extra time in the morning to clear your car exterior from frost and snow. Make sure to use lukewarm water or de-icer and avoid hot or boiling water. Before turning on the ignition, check your auto wiper is turned off. If it’s been left on and is frozen to the windscreen, this could blow the wiper fuse. a square of carpet that can be put under your wheels is particularly handy should you get stuck in the snow. How can I prepare my bike for winter weather? Make sure your tyres are properly inflated and without wear and tear. Also, check that the nuts and mechanisms on your bike are in place and that the chain turns cleanly. Squeeze your brakes when you first start cycling, to ensure they’re road worthy. Cyclists are 23 times more likely to be involved in an accident than motorists. Safety gear, including reflective clothing and a light, are crucial so that you can be easily seen in the dark. What steps can I take while driving or riding in the snow? While on the move, accelerate gently, use low revs and change up to a higher gear as soon as possible. You may need to start in second gear to reduce wheel slip. Leave as much as 10x the normally recommended gap between you and the driver in front to allow greater stopping time. If you encounter a skid, steer gently into it, don’t take your hands off the steering wheel or brake too hard. What happens if I have a road accident? Can I make an injury claim? If you wish claim following a road accident, you should be able to demonstrate that the other road user involved neglected their duty of care, causing the incident, and subsequently, your injury. To make a claim, get in touch with our specialist road traffic accident team today. Over the last 25 years, we have helped countless individuals claim following car accidents, cycling accidents and motorcycling accidents. Call us on 0800 342 3206 or fill in our online form to request a call-back.